If your workplace is managing a large population of unconnected output devices and you are looking for a way to track and measure your print environment then Managed Print Services is the solution for you. 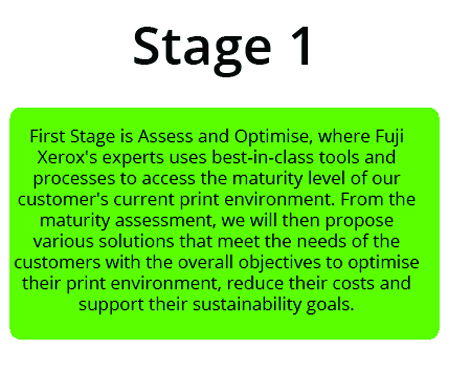 Not only will it help you to meet sustainability goals, it will also help with the escalating costs of existing print infrastructure, identify hidden cost areas and reduce business costs in general. Realise the Most Suitable Print Environment. Uncover hidden costs for equipment, filing and processes. Improve resource utilisation through device optimisation. Reduce environmental impact on print. Provide accurate total cost of ownership. Strengthen the security of printing with network integration. Protect intellectual property from security threats. Ensure regulatory compliance and mitigate risk. Support IT infrastructure and integration. Leverage data encryption and overwrite. Authorise and authenticate for proactive security management. Increase agility through cloud and mobile technologies. Business Process Automation and work-style change. 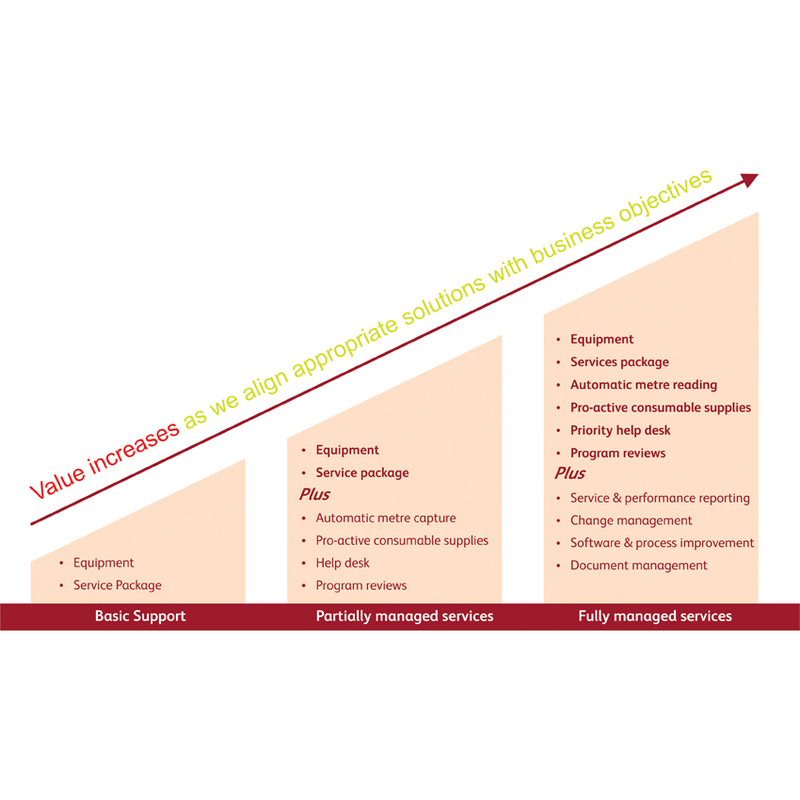 Deliver solutions that improve your business processes. Reduce paper use and provide digital alternatives. Provide ongoing analytics to drive performance and process enhancements. Analyse paper use in its role as an information asset. Managed Print Services goes beyond print by leveraging technology and document management expertise with business process and IT outsourcing capabilities to increase business productivity, security, mobility and sustainability. 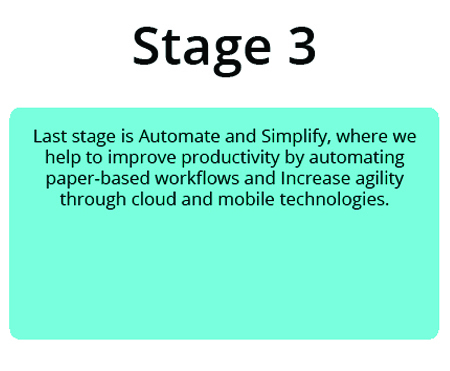 With our Next Generation Managed Print Services, we help our customers journey into digital transformation via a three-stage approach.